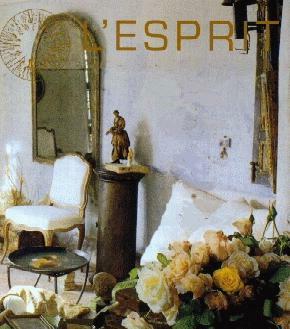 L'Esprit Antiques specializes in Country French antiques that we personally gather throughout the French countryside, primarily in the Provence and the Burgundy regions. This enables us to offer our customers choice merchandise at the most competitive prices. We now offer an On Line Photo Catalog containing photographs with descriptions and prices of our antiques and home accessories available at L'Esprit, including Country French armoires, tables, chairs, garden furniture, architectural and ironwork and much, much more. We also offer new home accessories including table linens, lighting, glassware, bath accessories and luxurious French soaps, baskets and ironwork. We hope you enjoy browsing through our collection as much as we have enjoyed putting it together.